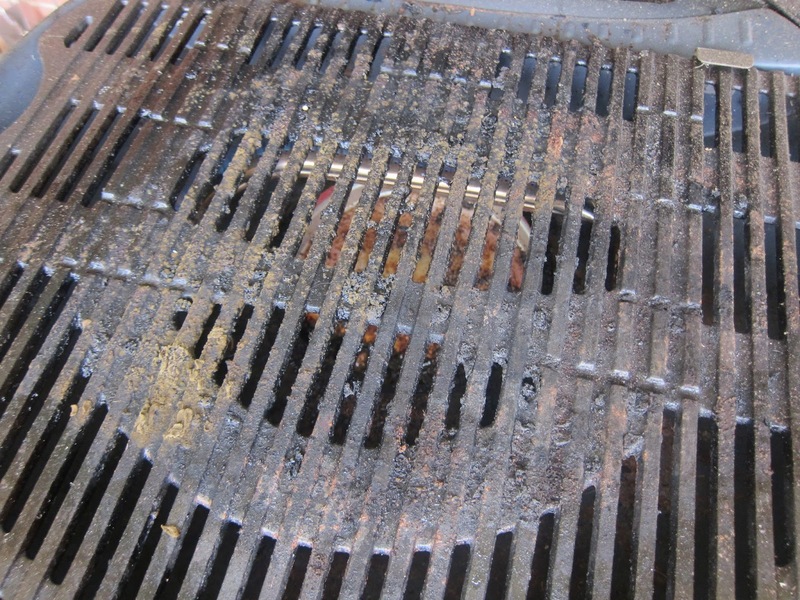 I love to grill, but cleaning grates is not such a good time. Since I use a lot of marinades and sauces, I end up doing a lot of grill cleaning. 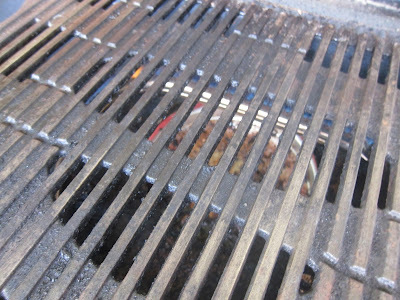 Finding good grill grate brushes has been a challenge. Some don't last more than one of two cleanings, and that gets expensive. John Fazio, owner of Flameria which is a new barbecue tool company, sent an email and asked if I'd like to try out his grill brush - Blaze 21 now at Amazon. I like working with new companies. They often have some of the very best stuff. I'd told him I'd be glad to give it a try, so he sent me out a free brush. When the package arrived, my O Grill needed cleaned up as you can see. So, I opened up the package and got to work. I heated the grill first, since we were ready to grill immediately. Sometimes I pull them cold and use Goo Gone grill cleaner. That works well too. The handle on the Blaze is 21 inches long, so that made it easy to use on a heated grill. It was very sturdy and took the ick right off. With the groves here, I turned the brush sideways and got between the grooves too. That was a good idea to have the bristles up the sides as well. As you can see, the Blaze 21 grill brush worked very well. There are a few spots I could touch up. I only cleaned about three minutes here, so if I wasn't in a hurry to get a meal on, I could have this grate looking brand new with this grill brush. 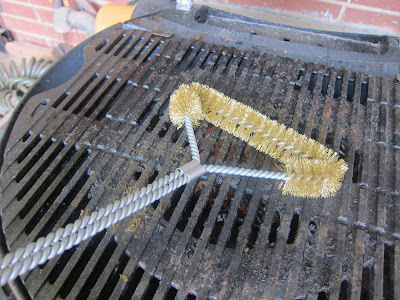 I can't say how this (or any other grill cleaning brush) will hold up long term. I can say that the Blaze 21 bristles did not mash down like some I've used. And, I was brushing hard to get this grate ready for some grilled chicken. It is definitely better in terms of quality than most I've tried. Good Information!!! My advice is to select a stainless steel Barbecue Grill Brush with bristles thin sufficient to not cause harm. The typical belief that you can only use brass bristled grill brushes with regard to porcelain enamel coated grates isn't in fact accurate. Many stainless steel barbeque grill paint brushes tend to be completely safe to use. Given that they will definitely final considerably longer compared to brass barbeque grill brushes, my personal recommendation is to pick one of those.